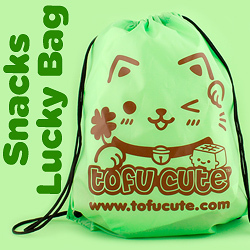 tofu cute blog / features / christmas gift guide: snacks! What snacks do you want for Christmas? We all like delicious snacks - no matter what your preferences may be, there's always a joy to eating something you love - especially something sweet! That's why our range of snacks would make excellent gifts, especially for filling stockings! 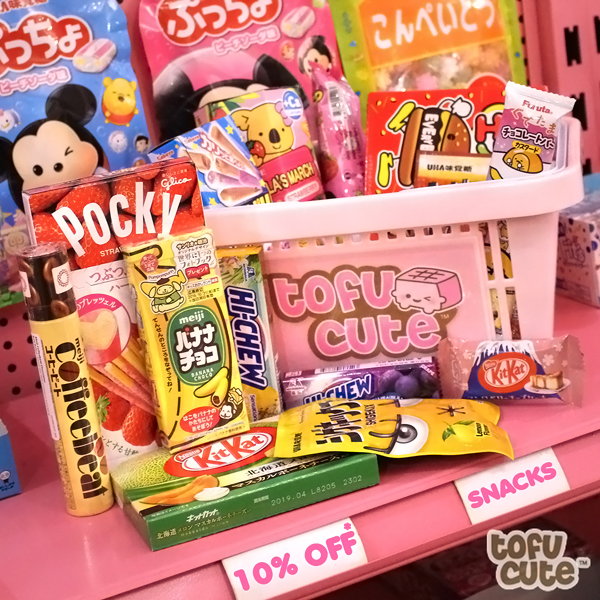 You already know that Tofu Cute sells a huge range of Japanese snacks - we've got everything from delicious Pokémon cookies to a huge range of Ramune soda, and all sorts of other exciting treats. Need something fizzy, something chewy, something chocolatey? 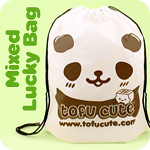 Tofu Cute's got you covered. 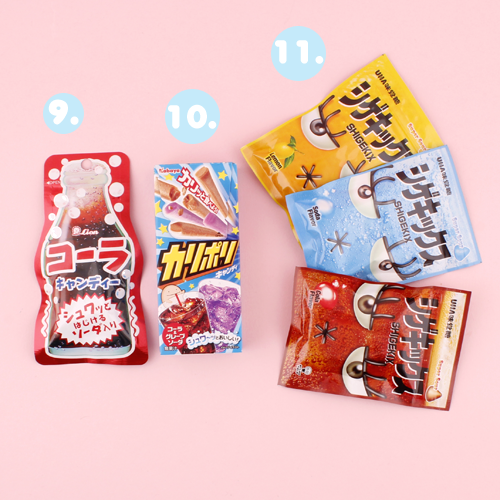 This is our guide to the best snacks on our online shop, and there's some good news - a selection of snacks, including some from this very gift guide, will now be available at up to 10% OFF! Hooray! 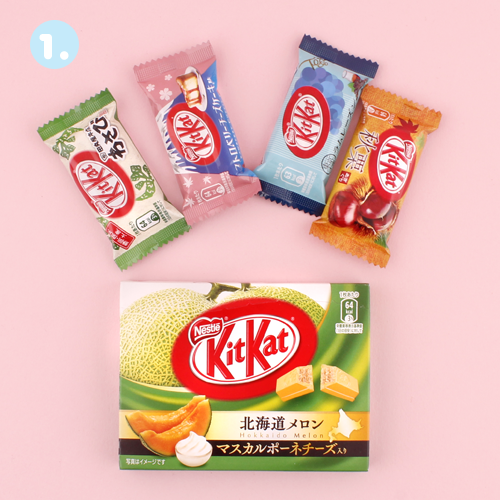 We've organised some of our favourite snacks into handy categories to help you choose the perfect gift or treat for yourself! 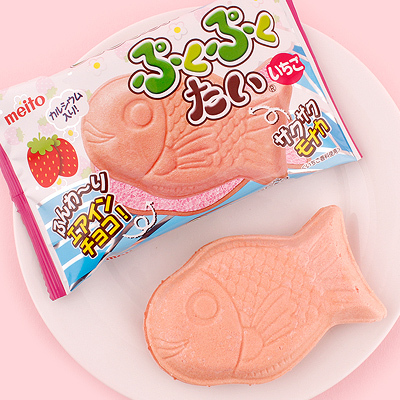 Strawberry Cheesecake: A soft, white chocolate bar which has the sweet, familiar taste of the classic dessert! Rum & Raisin: If you love Rum & Raisin ice cream, this KitKat is the perfect recreation of that flavour - sweet and crispy with undertones of the aromatic rum. 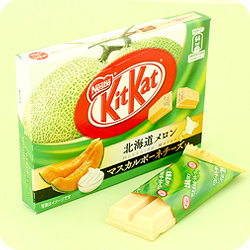 Japanese Chestnut: One of our newest KitKatsoffers a 'festive' & 'seasonal' chestnut flavour! It's perfect for Christmas! Tamaruya Wasabi: For a gift that's truly special, find out what all the hype surrounding Wasabi is about - this spicy condiment is not the usual KitKat flavour, but for those who want to experience something thrilling, maybe it's worth a go! 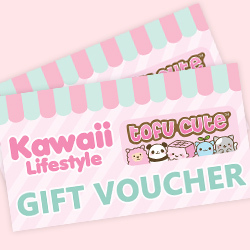 Perhaps you want a snack to get someone to go with a bigger gift with a specific theme - once again, Tofu Cute has what you need! 2. 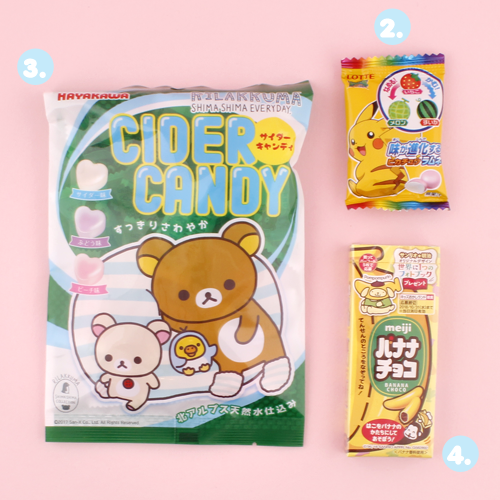 Pikachu Evolving Ramune Candy: Everyone loves Pokémon, right? Add a unique touch to a Pokémon gift with these cute little candies which 'evolve' and change taste from melon to watermelon as you chew! 3. 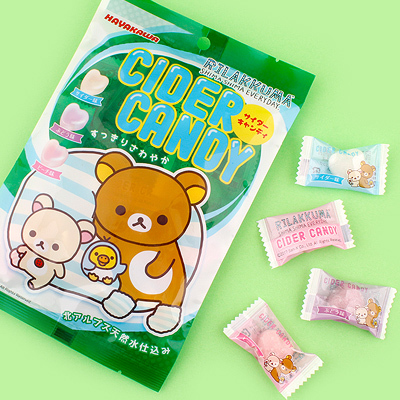 Rilakkuma Cider Candy: Maybe you've gotten someone a super cute Rilakkuma Terrarium recently in our Re-Ment sale and want to add a little something extra. This deliciously tart heart-shaped candies have packaging that's decorated with your favourite Rilakkuma characters, and they're really tasty! 4. 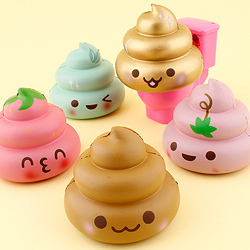 Meiji Banana-Choco Pom Pom Purin edition: The tasty chocolate & banana treat is now decorated with the popular Sanrio character, Pom Pom Purin! 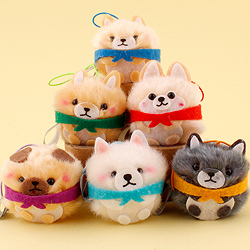 Perhaps it would go well with a bigger Pom Pom Purin gift from ARTBOX? 5. 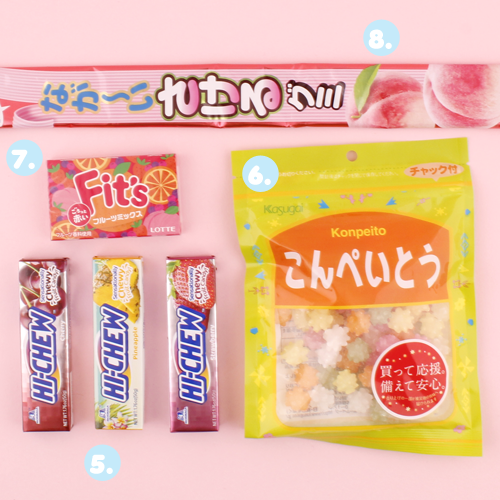 Hi-chew (various flavours): Perhaps one of the best fruit-flavoured snacks available is Hi-Chew, which much like Puccho is a packet of delicious cuboid chewy sweets bursting with iconic fruit flavours like cherry, pineapple, watermelon, grape and more! 6. 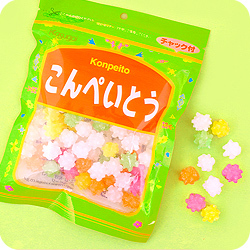 Konpeito: Konpeito is a classic & popular hard candy treat that simply must be tasted to be experienced - these small slightly spiky candies come in a large re-sealable bag and they're suitable for vegans, too! 7. 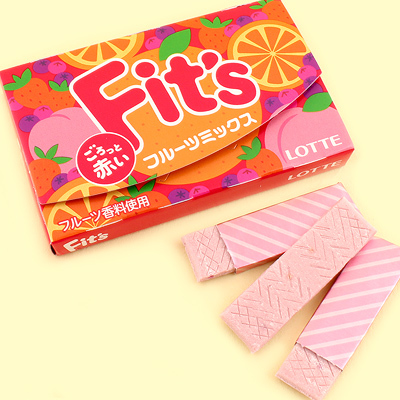 Fits: Made famous by a series of catchy commercials, Fits is Japan's number one chewing gum brand - we stock it in a range of delicious flavours including grape, white cider and fruits mix! 8. Sakeru Gummy - Long Man Peach If you've seen the famous commercial, then you'll already know that the 'Long Man' version of Sakeru Gummy is a delicious, chewy peelable candy strip which is really long (over 40cm!) - this is the newer Peach flavour, which is incredibly sweet and comes in adorable pink packaging! 9. 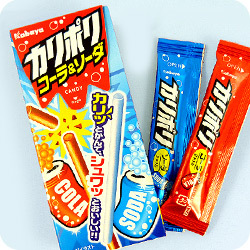 Lion Cola Bottle Candies: Want something a bit more feisty than your usual snack? These delicious fizzy cola candies by Lion are the way to go, with a delightful cola flavour that you can really feel fizzing in your mouth! 10. Karipori: These thin crunchy candy sticks are unlike anything else you've tried when it comes to confectionery - these individually wrapped sticks come in grape & cola flavour, and they're delightfully tangy. 11. Shigekix! 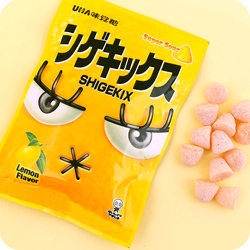 Available in four different flavours, Shigekix is the ultimate experience if you're looking for something sour. Beware - it's not easily tackled, but perhaps you know a fan of sour candies who is up for the challenge? 12. 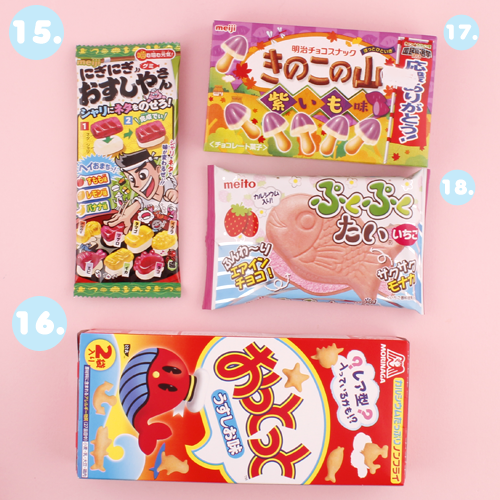 Apollo: We have a variety of snacks in the Meiji Apollo range - small, strawberry flavoured chocolate pieces that are densely packed with rich flavour! Just what you'd expect from Meiji! 13. Meiji: Speaking of Meiji, they're pretty much the ones to go to for delicious Japanese chocolate. 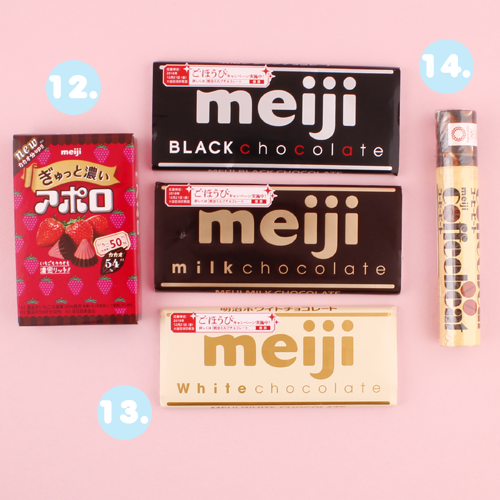 There's black chocolate, white chocolate, and milk chocolate, and each of them fulfill their purpose excellently - if you like the rich cocoa taste of dark chocolate or something milkier, look no further than Meiji chocolate. 14. Coffee Beat: If you're buying for a coffee fan, then these Coffee Beat chocolate bites are a great gift. They look like small coffee beans, and taste just like coffee too! Bite into the treats to unlock the chocolate centre within - they're delicious! 15. Meiji Create a Gummy Sushi Bar: Assemble a delicious gummy version of your favourite sushi dishes in banana, lemon, peaches and grape flavours. Have a fun time putting the gummy sushi rice together with the gummy 'egg' and 'prawn' slices! A perfect stocking filler for Sushi and Gummy experts alike. 16. 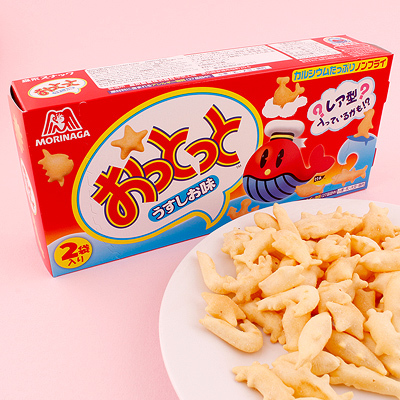 Morinaga Fish Crackers: If you're looking to get a savoury snack for someone, we've recently acquired these brand new fish crackers - they have an excellent salty taste and they're shaped like super cute sea creatures! 17. 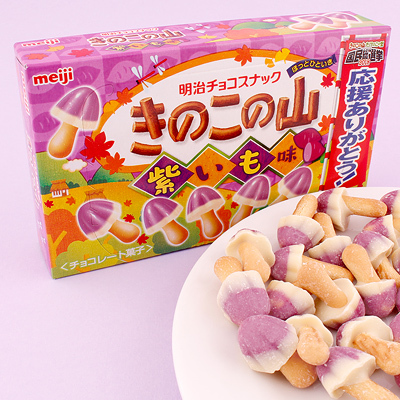 Purple Sweet Potato Kinoko No Yama: These delicious chocolate biscuit snacks by Meiji are shaped like mushrooms, with cute biscuit stalks and chocolate 'caps' - this time in a unique Sweet Potato flavour!